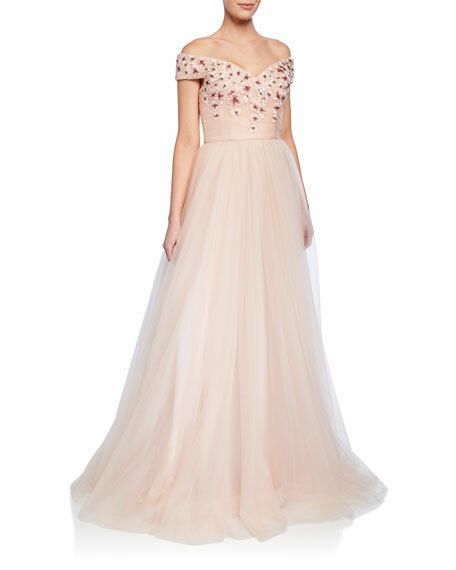 Badgley Mischka Collection tulle gown with a ruched bodice and floral appliques. Off-the-shoulder neckline. Short sleeves. 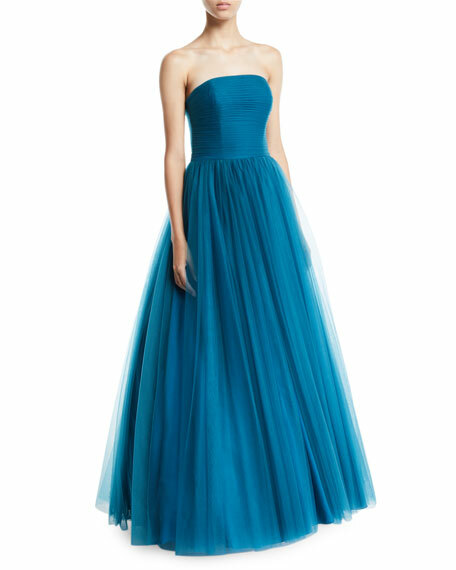 Ball gown silhouette. Full length hem. Hidden back zip. Nylon. Polyester lining. Imported. Exclusively ours. 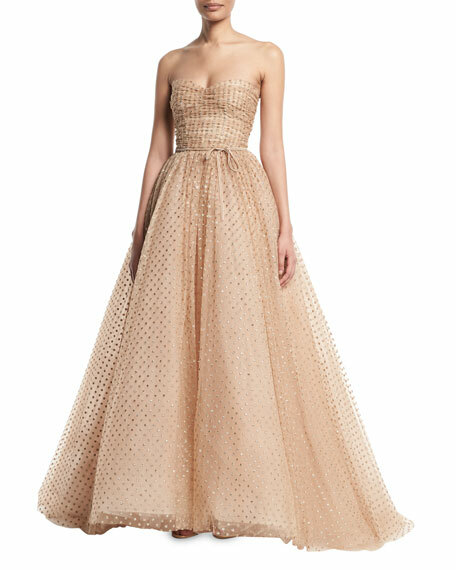 Badgley Mischka Collection tulle ball gown. Strapless neckline. Bustier bodice. 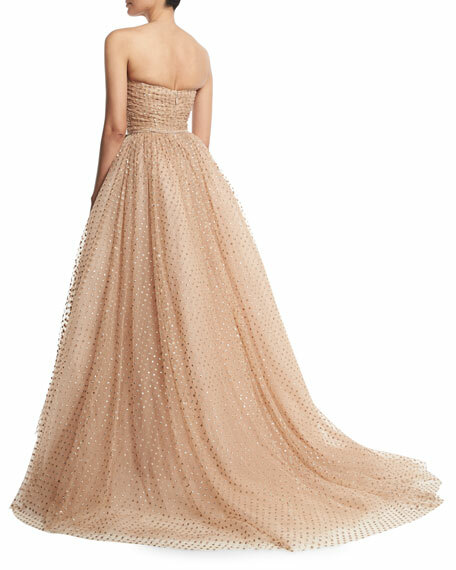 Ball gown silhouette. Pleated tulle overlay. Hidden back zip. Floor length. Nylon. Imported.